On Monday 2 July 2018, at the 38th session of the United Nations Human Rights Council, Yusuf al-Hoori delivered an oral intervention during the Item 8 General Debate criticizing Bahrain’s culture of impunity and the government’s failure to punish security forces who commit human rights violations, including torture and extrajudicial violence. Click here for a PDF of the intervention in Arabic, and here for a PDF of the intervention in English. ADHRB wishes to raise concerns over States’ violations to the VDPA relating to impunity and their failure to punish security forces for committing human rights violations, including torture and extrajudicial violence. For example, on 31 March 2012, Bahraini authorities shot and killed 22-year-old videographer Ahmed Ismail Hassan while filming a protest against the Formula One Grand Prix in Bahrain. One year later, Ahmed’s father was shot by police during a commemoration march marking his son’s killing. No one has been held accountable for either attack. Impunity for violence and torture reach the highest levels of the royal family. Sheikh Nasser bin Hamad, the son of Bahrain’s king, personally led a reprisal campaign and took part in torture of activists. Rather than face prosecution, Nasser has been promoted to Commander of the Royal Guard. In 2017, security personnel attacked a peaceful sit-in in Duraz, firing live ammunition into the crowd, killing 18-year-old Mustafa Hamdan. Months later, security forces again raided Duraz, this time arresting hundreds and killing five. No investigation or prosecution was known to have taken place. Despite these violations, the Bahraini authorities have refused to prosecute crimes against journalists and dissidents. 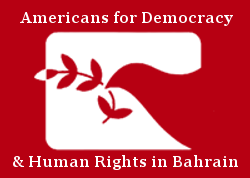 We therefore call on all States, including Bahrain, to end impunity for crimes committed by security forces and to ensure the protection of fundamental human rights like freedom of speech and assembly, in line with the VDPA.